A superb value for money trophy that is suitable for a wide range of sporting, educational and corporate awards. These tarnish free, nickel plated trophies are mounted on a circular bakelite base complete with nickel plated plinthband. 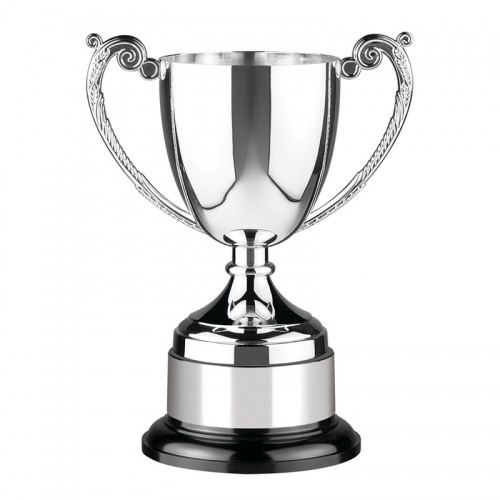 It is available in five sizes up to 12in tall, ideal for creating first, second and third placed prizes or awards.